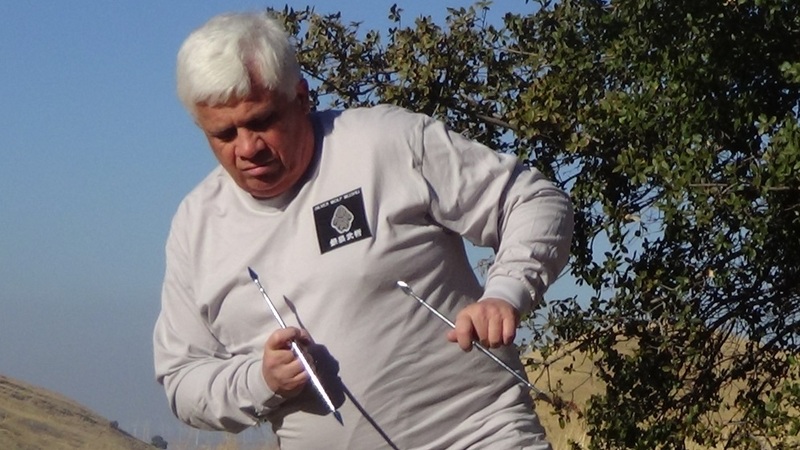 Have not left Black Diamond Reserve in eastern Contra Costa County California. The photographer liked the yin-yang shadowing both on the face and on the silks (compare left leg to right and right arm to left). Also at Black Diamond Reserve in eastern Contra Costa County California. Amidst all the flash that’s a sun moon double ended spear. Initially, it feels as if the end blades should curve away instead of toward the wielder. At Black Diamond Reserve in eastern Contra Costa County California. This is a very interesting weapon with at least three distinct hand positions. 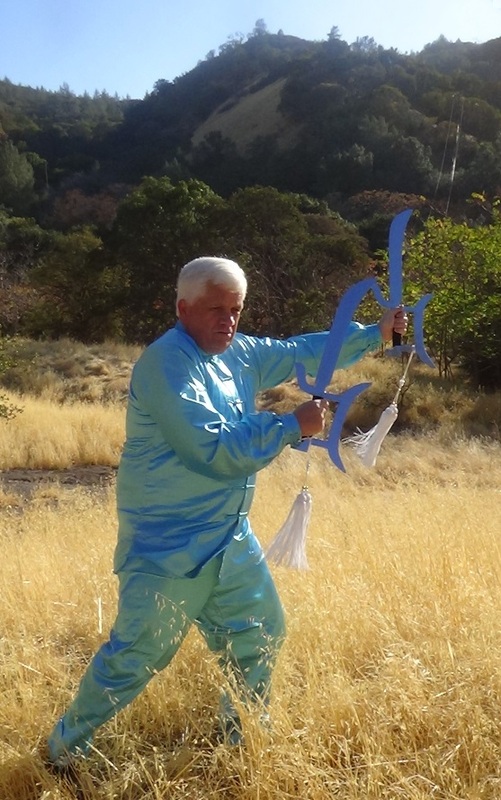 Bringing swords, sabers, fans, short sticks, a copper shaft spear, a staff and a cicada wing. We’ll see what he has in mind to teach. Courtesy the BART strike the van must be driven, so plenty of room for weapons. Some photos and maybe even short videos of several siblings of the cicada wing – horse blocking knife and sun and moon double spear – coming soon. In orange silks, no less. There’s quite a long story, full of the usual passion and tragedy and insight, centered around Emeishan itself. As we were intent on studying several of the Emei style boxing and weapons sets it seemed appropriate to get a small replica of the massive central statue shown above. In Old Chinatown in San Francisco for many years the place to go for such things was Master Sam Bo’s Trading Company in Ross Alley, Sadly, Master Bo died some years ago, and his store, long famed for its incense and statues, is not quite what it used to be. Or at least not quite what memory made it. Another old standby is the Norras Buddhist Temple. However, there was a ceremony going on, so the search for advice led elsewhere. ‘Shan’ just means ‘mountain’. 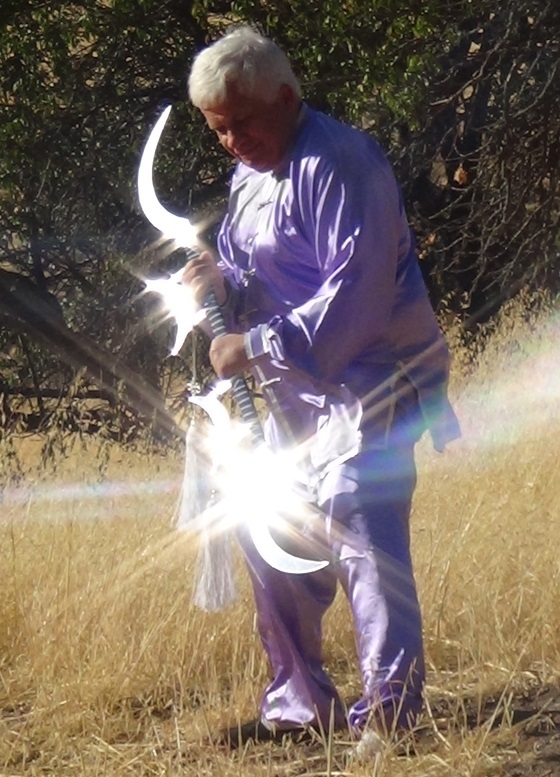 Purple stars designate sacred Taoist mountains while red stars are sacred Buddhist mountains. 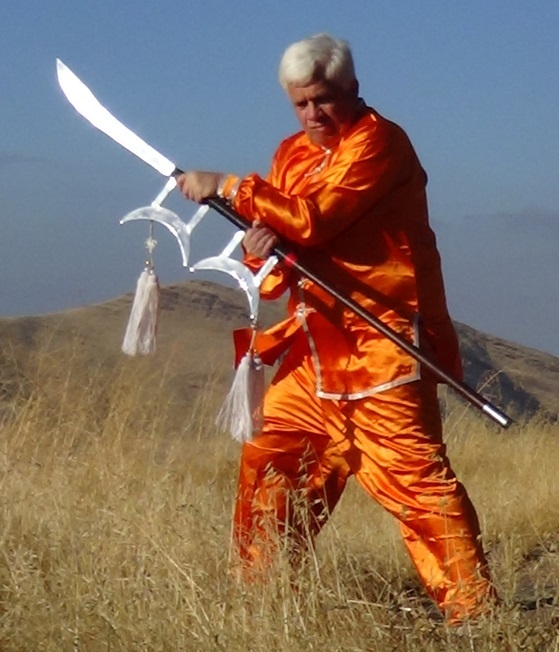 For the so-called internal arts like Baguazhang, Tai Chi chuan and Xing Yi chuan the general tendency is to build the student from the inside out so mastering the mechanics of chi takes precedence over punching a steel plate one thousand times per day. 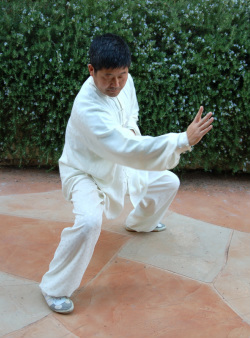 For the external arts like the various Shaolin styles and the long fists, the tendency is usually reversed: energetics typically comes after years strengthening punches and kicks. In many cases the choice of how or what to study is either determined by the student’s tastes (or needs) or by what is available. The martial arts mostly associated with Emei Mountain appear, to someone who is not an expert in them, to prefer a middle path. One thing is certain – in any of the three strategies ten years of ardent practice with a capable teacher will produce a much-improved human being and a formidable fighter. 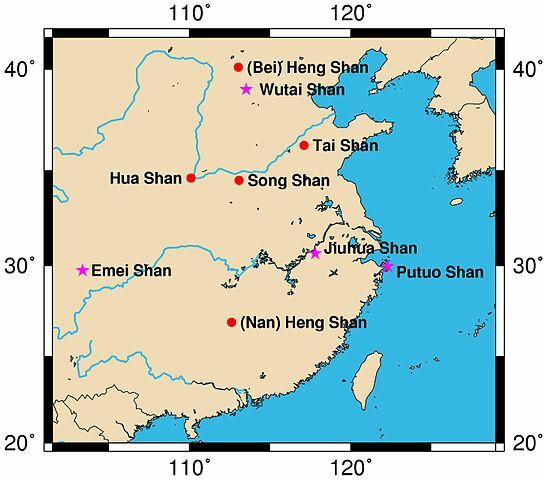 The stories begin late in the Qing Dynasty (1644 – 1912). Old Master Bao, leader of the Kun Lun clan, kills a disciple because the latter had an affair with a married women. 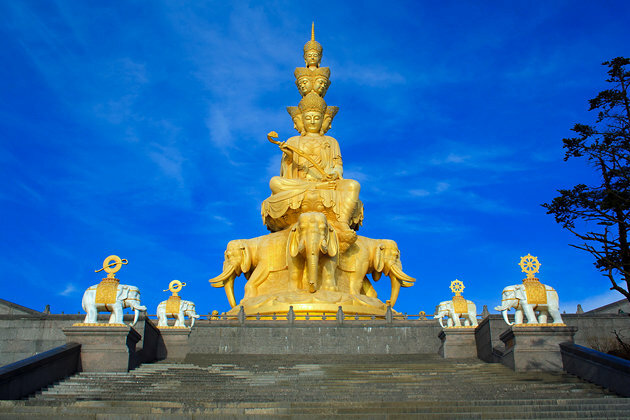 The disciple’s son, Jiang Xiao, fled for his life, and met a martial artist from Mount Jiuhua (one of the four sacred mountains of Chinese Buddhism; it is located in Anhui province) who became his teacher. Bao Ah Luan is Jiang Xiao’s childhood friend with whom he has fallen in love. This makes matters complex as she is the granddaughter of Master Bao, whom Jiang Xiao has sworn to kill. Bao Ah Luan decides to kill herself in exchange for her grandfather’s life. Jiang Xiao arrives too late to stop her. When Master Bao discovered what had happened he killed himself. Jiang Xiao returns to Mount Jiuhua to live as a hermit. Later, he became a knight errant and wandered dispensing justice. He took the nom de guerre of Jiang Nan He (Southern Crane). According to legend, Dong Haichuan of Wen’an County in Hebei Province was fond of wushu as a child. 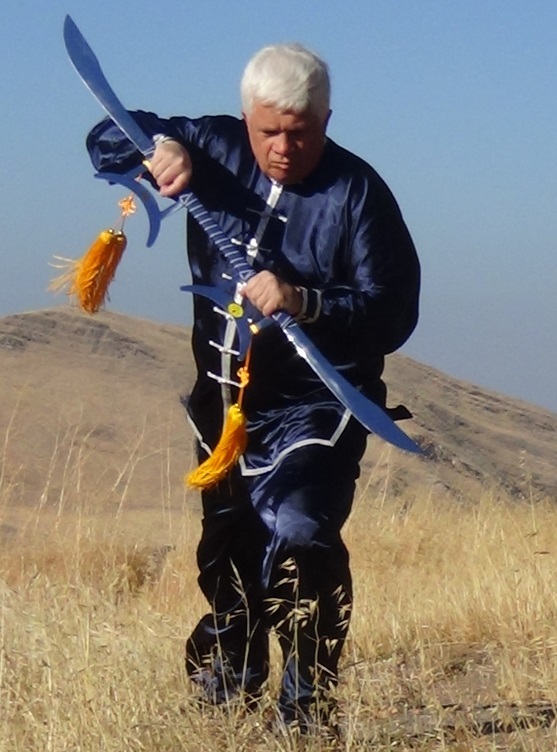 After years of poverty, he drifted to Jiuhua Mountain where the Taoist priest Bi Chengxia taught him the secrets of a Taoist style of wushu. 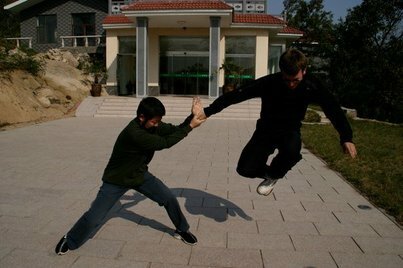 Later Dong learned other skills from Guo Yuanj’l, nicknamed the “Iron Stick Taoist.” These skills were combined into a new style called the eight-diagram palm shadow boxing, known today as Baguazhang. The now-famous movie is largely based on a book with the same title. The book is the fourth in a series of five written by Chinese author Wang Du Lu. Most of the work on the series was done during the years 1938-1942. 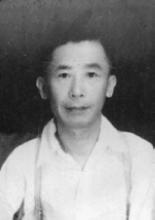 The author was born in 1909 and grew up in a Manchurian family in Beijing. As was the custom then the author’s birth name of Wang Bao Xiang was changed to Wang Du Lu. Wang Du Lu was almost entirely self-taught, and his life can only be described as difficult. The family was poor, and he was rarely anything but financially desperate most of his life. 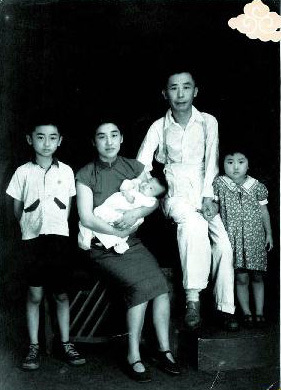 Like many of his age, he and his family were swept up in the Japanese invasion during World War II, the subsequent Chinese Civil War, and then the Cultural Revolution. At one time or another he was a school teacher, an editor for a small newspaper, and a clerk. The photos are likely from 1949.